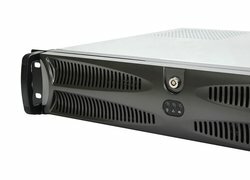 This extremely short and lockable 2U rack-mount server case with a length of only 38cm is ideal for use in short-length racks - like mobile flightcases or in narrow wall-mounted network-cabinets. Its compact size makes it a perfect base for a stage-system - for example as a mobile DJ-system or lightning-control system. This chassis is the perfect solution for all situations where a powerful server-system needs to be installed in a very limited and highly confined space. Its lockable and retractable front-bezel with integrated air-filter secures the switches on the front and completes the shapely and professional exterior. 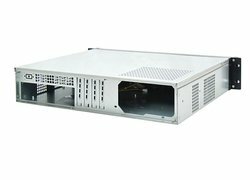 The case supports micro ATX and mini ITX mainboards. 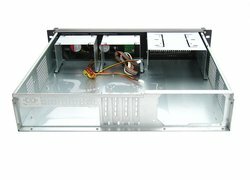 It can be equipped with standard ATX power-supplies if the power-supply has an 80mm fan for backward ventilation and a maximum depth of 14cm. 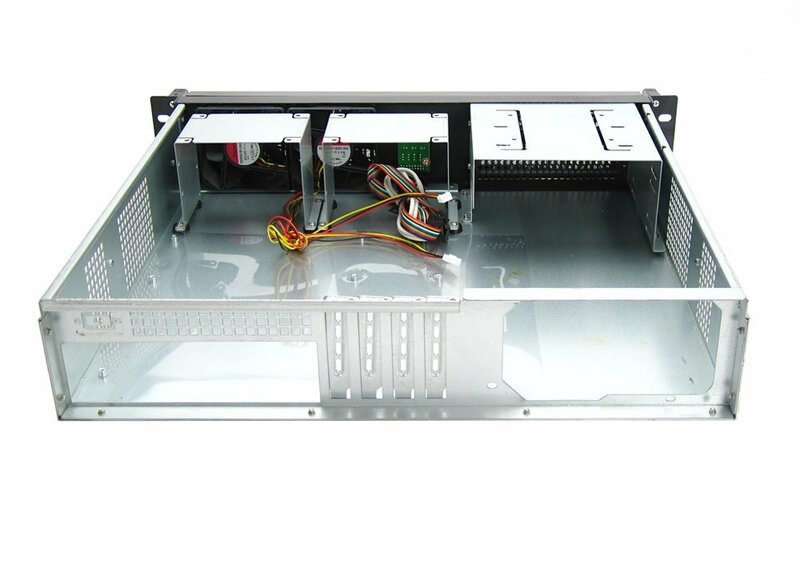 It is not possible to equip this case using a standard ATX power-supply with big 120mm fan and sideward ventilation (as the fan would blow against the enclosure). 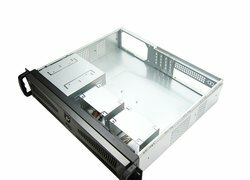 We offer this case also with a matching pre-installed power supply. 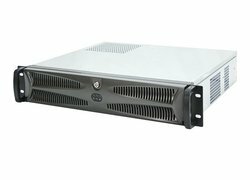 If you are interested in a complete server-system based on this case, we can send you a tailor-made offer according to your specification-needs. This Seasonic 400W ATX power supply provides active PFC, 80PLUS bronze certification and a variety of connectors for a broad range of applications. 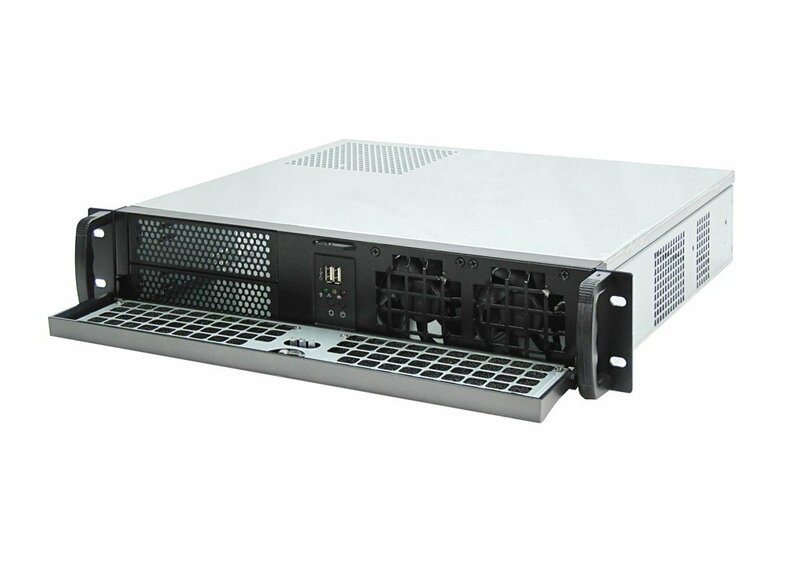 The 80mm fan with rear ventilation is particularly suitable for mounting the power-supply in our short-depth 2U / 3U server-chassis. This Seasonic 500W ATX power supply provides active PFC, 80PLUS bronze certification and a variety of connectors for a broad range of applications. The 80mm fan with rear ventilation is particularly suitable for mounting the power-supply in our short-depth 2U / 3U server-chassis. This Seasonic 600W ATX power supply provides active PFC, 80PLUS bronze certification and a variety of connectors for a broad range of applications. The 80mm fan with rear ventilation is particularly suitable for mounting the power-supply in our short-depth 2U / 3U server-chassis. Standard AC power cord for connecting computer systems and peripheral devices. 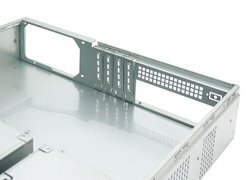 Deep blue color for easy identification of the connected system (ideal for server-systems). Front-panel with 2 x USB 3.0 ports, power-switch, reset-switch and three LED´s. For self-installation in exchange with the original USB 2.0 front-panel.